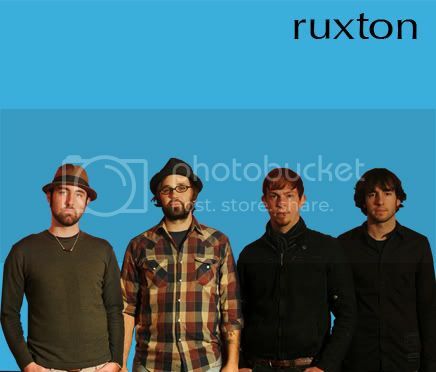 Ruxton Towers will play Weezer’s Blue Album top to bottom March 20 at Winterland. Like many great — and some not so great — ideas often do, it all started with a joke. A few months back, Handlebar Mustangs — a local band featuring Tony Winters, owner of Bremerton’s Winterland — was recording at Ruxton Towers’ guitarist Chris Matthews Jr.’s Joonior Studios. With the Ruxton Towers’ crew in the studio at the time, Winters asked the band if they’d be willing to play his birthday show, later in March. But that’s not something you just joke around about. Especially not within earshot of the folks from Winterland. The Bremerton rock club recently hosted (and plans to host monthly) The Artists Formerly Known As Alligators, playing a full night of various covers, and they’re also gearing up for what looks to be a gloriously 80’s cover band extravaganza for Rock ‘N Roll Nicole Pike’s birthday bash, April 10. Needless to say, Winters was stoked on Ruxton’s idea and marked the Towers down for a full performance of Weezer’s epic 1994 debut album to be joined by the almost equally epic Port Angeles two-piece Robot Pi and a set from prolific local stringer James Hunnicutt, this Saturday night at Winterland. RUXTON TOWERS will play Weezer’s Blue Album in it’s entirety for Tony Winters’ birthday show, joined by Robot Pi and James Hunnicutt, March 20 at Winterland, 1220 Sylvan Way in Bremerton. Show starts 9 p.m., 21+, $5 cover. More at www.myspace.com/winterlandrocks, www.myspace.com/ruxtontowers, www.weezer.com.